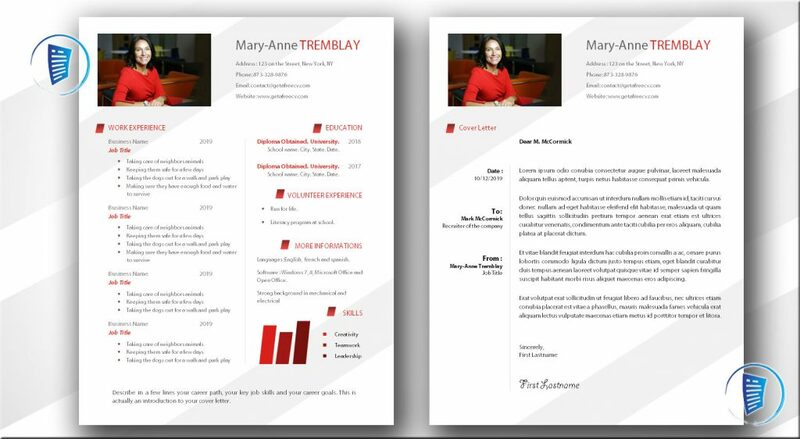 This CV template has the merit of highlighting several aspects of your profile by presenting a structured and organized format without weighing down the layout. 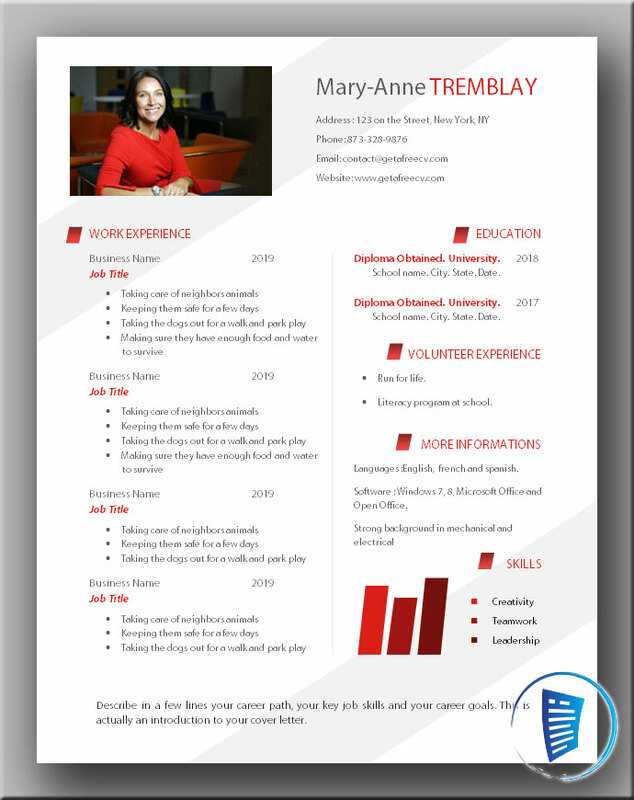 This is a very nice CV to read. In addition, the background motif highlighting your coordinates is an original drawing element. Indeed, it is the details that invite the recruiter to contact you. 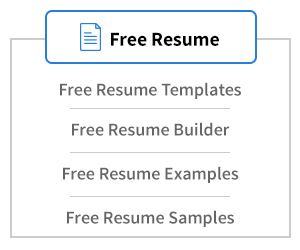 On the other hand, the results pane in the right column makes this model ideal for candidates in the commercial sector. 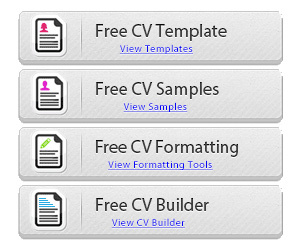 We are sure that the recruiter and hiring manager will not be able to take their eyes off your CV sheet. 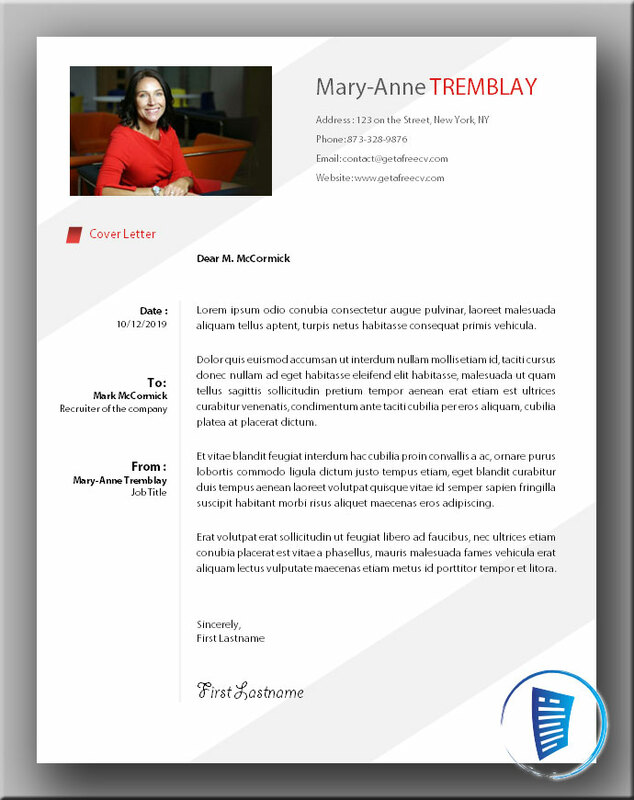 This is what your resulting CV should look like on the recruiter’s desk. 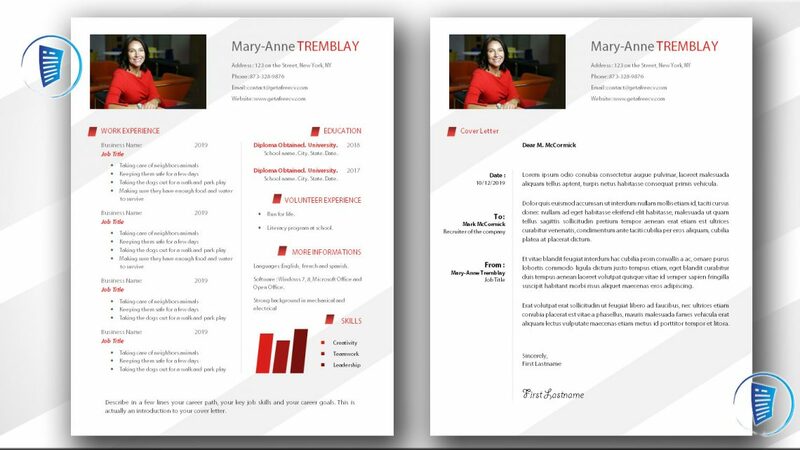 To get this CV template, simply click on the download button right after the next picture. Then save it on your device for future modification. 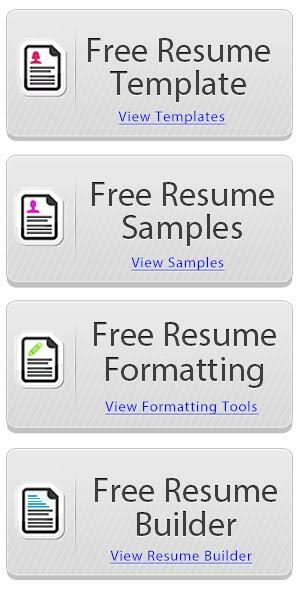 Get the cover letter file by clicking on the download button right after the next image presentation.